For an example of a platform with a huge opportunity today, look at Slack, Braintree and Stripe. As we’ve said time and again, even if you have a great product, simply launching it and hoping for the best won’t get you far. One way to drive engagement and growth is with the help of a platform that already has access to millions of people. Baremetrics, a subscription analytics service, took this approach when they partnered with Stripe, an online payments platform. For them, timing was everything. They got in at the right time and rode Stripe’s massive wave of popularity to grow their business. Partnering with Stripe allowed Baremetrics to get out and in front of millions of potential customers. They’re constantly adapting their strategies to keep growing and meeting the needs of their growing customer base. You can do the same thing to grow if you choose the right platform, partner at the right time and use it to solve customer pain. But don’t stop there, you’ll need to keep looking for opportunities to grow your customer base. Founder, startup advisor and former VP of Growth at HubSpot Brian Balfour says, “products are built to take advantage of specific channels.” When you build a product on a platform that’s taking off, your product has the chance to thrive alongside it. It’s all about finding the right opportunity. When Baremetrics rolled out their SaaS analytics integration for Stripe, they immediately took first-mover advantage. It reaped huge benefits simply from being the only analytics tool available for the growing number of companies using Stripe to process payments. As the Stripe user base grew, so did that of Baremetrics. For an example of a platform with a huge opportunity today, look at Slack. 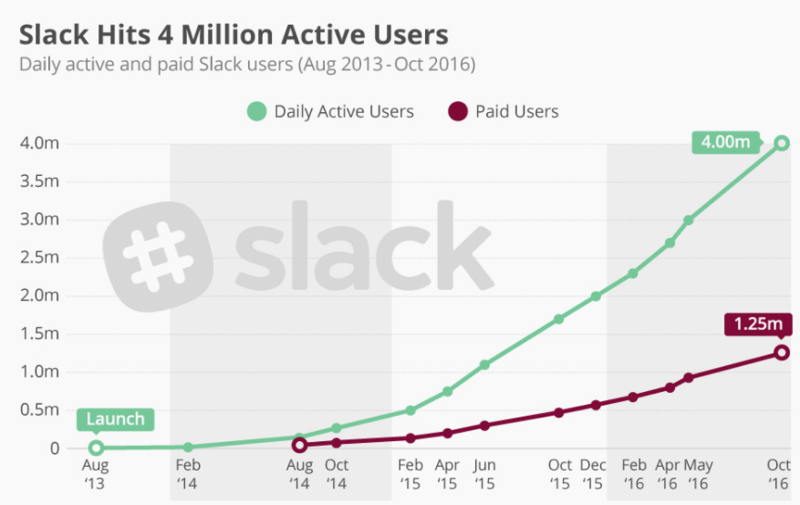 Slack launched in 2013 and now has over 4 million active users. It’s a massively popular platform—yet it still provides a solid opportunity to get a foot in the door. Slack’s app directory offers an average of 91 apps in each category so if you build an app it’ll be on the front page of its category. Every new platform gains wide usage because it solves some kind of problem in a better or more efficient way than what came before. Of course, no platform is perfect. There are always tradeoffs, and those tradeoffs are where you find your opportunity as an entrepreneur. When Baremetrics CEO Josh Pigford first started using Stripe, he knew trying to calculate his metrics manually was going to be an error-prone process. Baremetrics was initially developed to solve Pigford’s problem, but as soon as it launched, he realized that other companies were also experiencing the same issue. People using Stripe knew it didn’t have the best analytics options, so Baremetrics offered a compelling solution. Figuring out the right kind of problem to solve requires an understanding of how platforms are changing the way people get work done. Pigford saw that the increasing adoption of Stripe was creating a need for an inbuilt analytics setup. Growbot, an app designed to help teammates recognize one another for good work, took the same approach when it integrated with Slack. Growbot’s solution was to provide teams with an easy way to give encouragement and show appreciation to each other. It’s fun and easy to use, with users simply @ mentioning team members using words like “props” or “cheers” to send their appreciation. Growbot chimes in with a celebratory announcement and tallies up all the props given in a team’s Slack. That’s not a new problem. Teams have been working to find ways to celebrate each other’s accomplishments for a long time. What’s new is the platform—Slack—and the innovative approaches to problem-solving that it can generate. In fact, integrating with Slack is one way Amplitude’s trying to solve customer pain too. Since Slack is changing how teams communicate with each other, we knew that if we wanted to make it easier to discuss and share data insights, we needed to involve the Slack platform. That’s how the Amplitude bot was born. 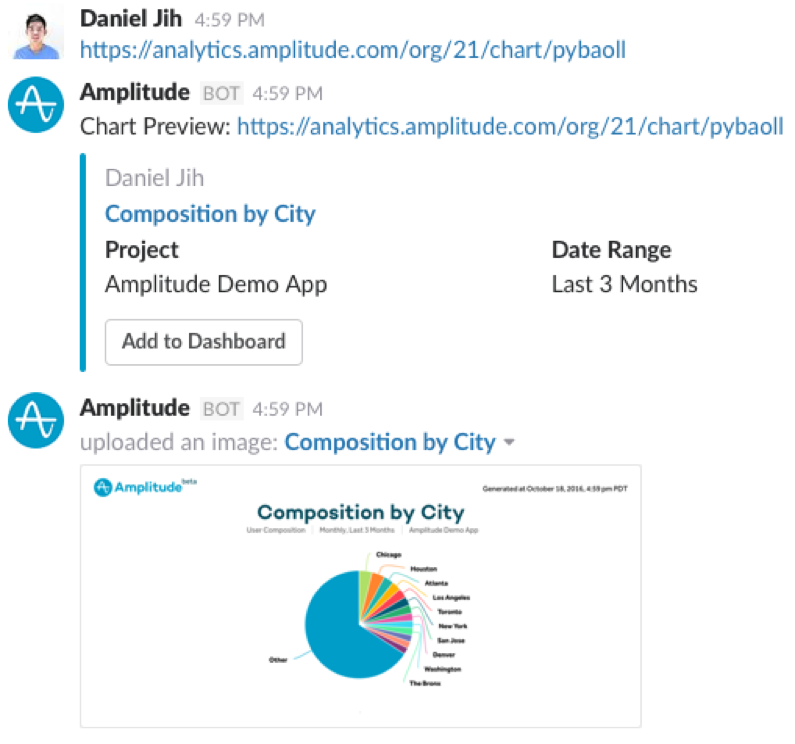 Amplitude bot for Slack[/caption] Choosing the right platform and solving pressing customer problems means you get more out of your chosen platform. Your targeted efforts help you understand your customers, identify their pain points and solve their problems before your competitors do. It’s not good enough to just solve the problem at hand. The longer you spend on one platform exclusively, the more intertwined and dependent your company becomes on it. You become vulnerable, and you limit your growth potential. You need to always be looking for the next wave to ride. Baremetrics started as analytics service on Stripe but knew it had to grow beyond Stripe in order to to be successful in the long-term. It figured that if there was so much interest on Stripe for its services, chances were that other platforms needed the same service. It chose to partner with other platforms to solve the broader problem of on demand analytics. Braintree and Recurly are payment platforms that target slightly different audiences than Stripe. Braintree is a product PayPal created to manage online and mobile payments for businesses, while Recurly manages subscription billing. The new Baremetrics analytics API allows users to import data directly into Baremetrics if they use a platform that isn’t currently supported. They’ve covered all their bases and in doing so have solved the problem of providing their users with revenue analytics no matter the platform they use. The benefit to this approach is the improved user experience. Customers looking to meet their analytical needs don’t miss out if they don’t use a particular platform. You’re in business to make money so it’s important to choose a platform that gets you connected. Choose a platform that matches your business needs and targets your specific market. Slack is hugely popular service, but its many application categories make it easy to reach the right people. Once you’ve learned more about your target audience, grab and hold their attention by providing something they value that also makes their lives easier. Don’t get comfortable with only solving the obvious problems though. Keep looking for more ways to help your customers and expand your offerings. No wave lasts forever, and you don’t want to get swept out to sea with no place to go.